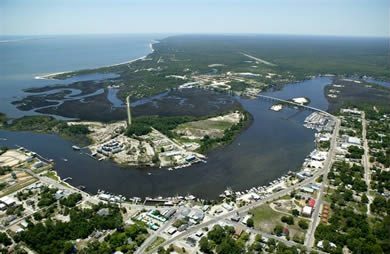 The small coastal village of Carrabelle, located in the Panhandle of Florida in an area often referred to as the Forgotten Coast, has been designated by some as the last vestige of Old Florida. Offering the authenticity of a working waterfront, combined with the reputation of being a hub for recreational fishing and boating, the community has become a haven for coastal adventurers who love the water but want to avoid the crowds and commercialism of other towns along the Gulf Coast. Boaters and fishermen alike are drawn by the presence of three pristine rivers that converge near Carrabelle and provide ready access to the Gulf of Mexico and the Intracoastal Waterway. And the nearby barrier islands, including beautiful St. George Island, insure an abundance of protected anchorages and miles of public beaches. Retirees find the unique charm of this peaceful little village to be an especially desirable place to retire and enjoy a laid-back and affordable lifestyle. Here is a destination with no high-rise hotels and condominiums and no traffic congestion. Instead, residents are blessed with beautiful beaches, rich river marshes, vast acres of natural habitat for wildlife, all highlighted by a genuine community spirit and feeling of safety and security. New arrivals will find a wide array of housing choices, ranging from affordable new cottages to golf course villas and condos. Also, there is an intriguing mix of interesting shops and restaurants and, for anyone who wants the amenities of a larger metropolitan area, the capital city of Tallahassee is just an hour away. 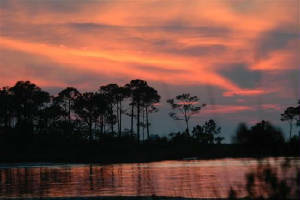 Click here to receive more information on retirement opportunities in Carrabelle, Florida.